Portland/Metro - Cold weather has gripped much of the Portland area, causing steelheaders to re-think their outing strategies, especially since it's still early in the season. Steelhead are certainly present in the Sandy and Clackamas systems, a bitter east wind keeps Sandy River anglers especially cold given its proximity to the Columbia River Gorge. Catches have been light. Late morning and afternoon temperatures moderate, and better inspire steelhead to bite in the broken surfaced waters of the Sandy and Clackamas systems. The prolonged cold and dry spell ahead calls for smaller, more subtle tackle to entice strikes. Single soft beads have really taken hold in recent years, and is the perfect go-to bait under the conditions we'll be experiencing into next week. Peak season won't happen for another 4 to 5 weeks on the Sandy and Clackamas systems, but quality steelhead can be found this time of year, with few other anglers competing for them. Steelhead plunkers working Meldrum Bar should also start to see some action in the coming weeks. No one is certain of the number of steelhead returning to the Clackamas or upper Willamette Basins this year, but with the recent issuance of the section 120 permit for the removal of problematic sea lions in the Willamette Falls area, wild winter steelhead headed for the upper Willamette River will get a reprieve this year. A more comprehensive bill in Congress may be moving this week. Sturgeon fishing remains good in the lower Willamette, with frozen anchovies, smelt or herring working well, fresh sand shrimp is always good too. The Willamette and Columbia River spring Chinook forecasts are due out next week, anglers are always optimistic, but we'll get the reality check by mid-month. There should still be ample numbers of trout in the district's lakes. Check the ODF&W web site under stocking schedule to see where the most recent stockings were. The Tillamook Report - Steelhead season is underway on the north coast, with fish reported from the North Fork Nehalem, Wilson, Three Rivers and Kilchis River systems. It's off to a slow start, but that's not uncommon for early December. Steelheading should start in earnest this week, with success likely from the aforementioned river systems. The North Fork Nehalem and Three Rivers often provide the best access and success for early season steelhead. Dropping flows will call for more subtle offerings and boaters are likely to encounter spawning Chinook coho and chum salmon too. Please avoid any harassment of these sensitive stocks of spawning fish, it's been a tough year for them. 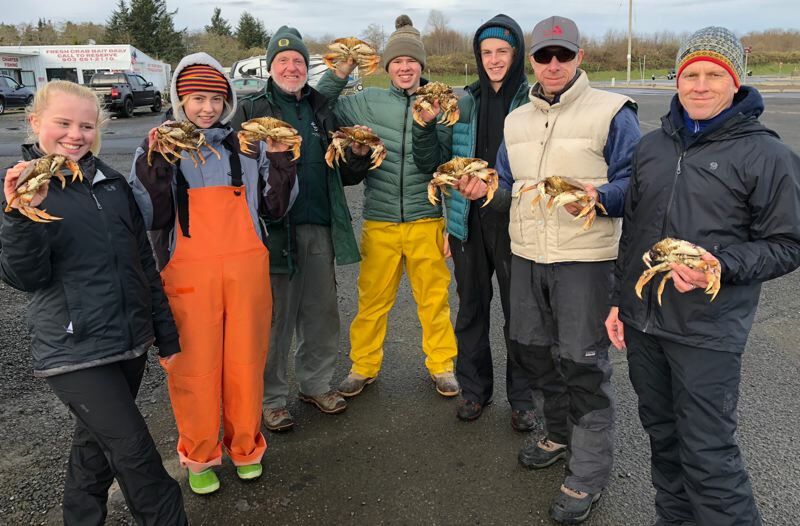 The season does remain open in Tillamook Bay itself, but few are participating. 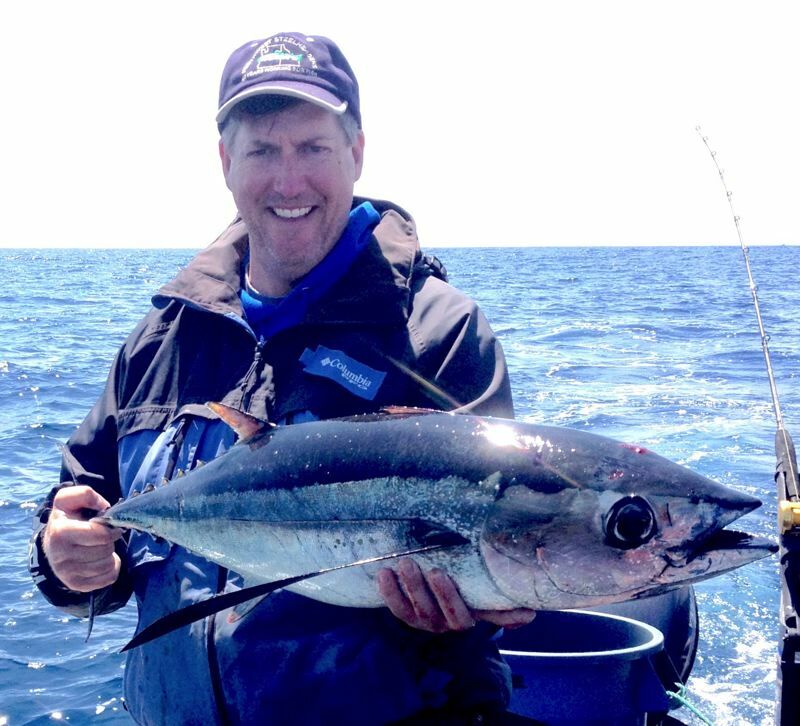 East winds often spell calm seas for bottomfish and crab this time of year. There was a small window early in the week, but seas are forecasted to increase into the weekend. Sport crabbing in the ocean re-opened on December 1, bottomfishing and crabbing should be excellent if the weather cooperates. Lower Columbia River - The lower Columbia remains excellent for crabbing, limits are common. Gnat and Big Creek, as well as the Klaskanine and Necanicum Rivers should have winter steelhead present.